In accordance with the criteria in Annex 1 and the guidelines in Annex 5 of Resolution Conf. 9.24 (Rev. CoP15), the global population of Ursus maritimus does not appear to be small, the area of distribution of this species extends over several million square kilometers and is not restricted and there is insufficient evidence to show that the species has undergone a marked decline in the population size in the wild (when applying the definitions, explanations and guidelines in Annex 5). Whilst the guidelines provide for population declines to be projected by extrapolation to infer likely future values, in this instance such a projection is heavily dependent on estimates of future sea ice coverage which vary widely. An Appendix I listing would not appear to be a measure proportionate to the anticipated risk to the species at this time. Based on the available information at the time of writing (late January 2013), the Secretariat recommends that this proposal be rejected. 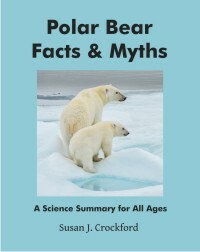 As I noted before, the US has management jurisdiction over the smallest percentage of polar bears worldwide – by current counts (giving the Chukchi a “zero,” as no numbers have been reported), only 2.4% of polar bears (out of the upper estimate of 25,000), live in US territory (they share the Southern Beaufort Sea population with Canada, so the US gets to count only half of them). 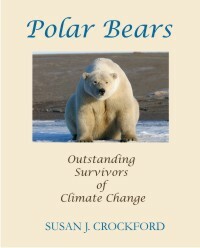 The percentage will be higher once there is a count for the Chukchi Sea – which they share with Russia – but the US still has the fewest polar bears of all Arctic nations. 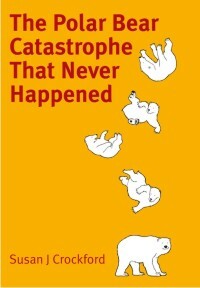 When the parties to the Convention on International Trade in Endangered Species of Fauna and Flora meet next month [March 3-14] in Thailand to discuss which of the world’s species need additional protection from international trade, the CITES secretariat is urging them not to back a proposal by the United States to up-list the polar bear from Appendix II to Appendix I. CITES Appendix II lists species that are not necessarily now threatened with extinction but that may become so unless trade is closely controlled. A move to up-list polar bears to CITES Appendix I would put polar bears in a category reserved for the world’s most immediately endangered species like tigers, gorillas, jaguars, rhinos and panda bears, which are threatened with extinction. “Based on the available information at the time of writing (late January 2013), the Secretariat recommends that this proposal [to up-list the polar bear] be rejected,” the CITES secretariat said in a news release. Governments will use the CITES evaluations and recommendations to make their own decisions about which proposals should be adopted and which rejected during the upcoming meeting, CITES said. But earlier this month, the European Parliament passed a resolution which calls for an international trade ban for polar bears and an up-listing at the meeting in Thailand. This entry was posted in Advocacy, Conservation Status and tagged ban polar bear trade, CITES, CoP26, recommendation by Secretariat. Bookmark the permalink.